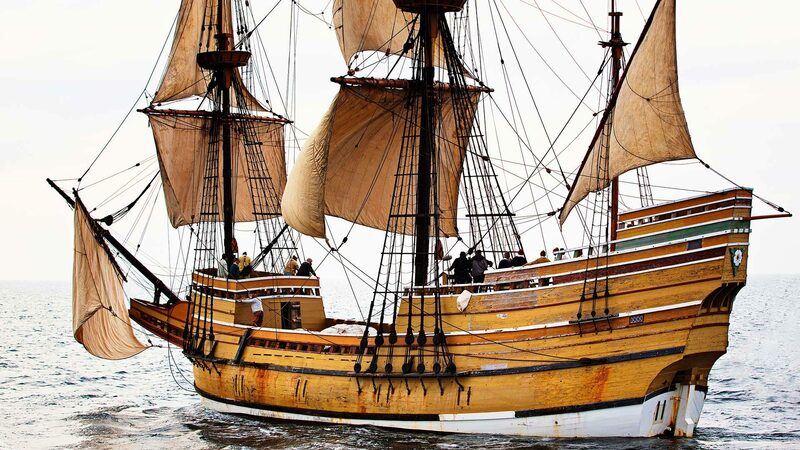 In 1620, the merchant ship Mayflower carried 102 colonists, traditionally known as the Pilgrims, from England to Cape Cod. After a harrowing 66-day journey, the Pilgrims faced exposure, disease, and death in an unfamiliar land. Two key pacts, one a civil contract among the male passengers, and the other an alliance between Plymouth and ten Native communities surrounding their plantation helped secure the Pilgrims’ future in New England. The media resources in this collection feature historical reenactments and expert interviews that tell the Pilgrims’ story from both European and Native perspectives. From the 2015 documentary film by Ric Burns.